At Navy Marine Memorial Stadium in Annapolis, Maryland. Result: CPFC Baltimore 1 - Charlotte Eagles 0. 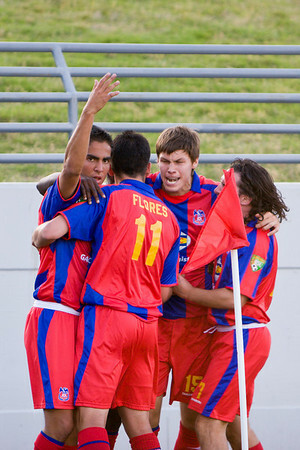 Harold Urquijo, Sergio Flores, Charlie Sheringham, Bryan Harkin (and an obscured Mathew Mbuta) celebrate Palace Baltimore's inaugural home goal.